52 percent of Americans plan on visiting another city in the U.S. during the summer. But why travel by air when you can travel by RV? You can conveniently pack up an RV and head out to your dream summer destination with your family! The U.S. boasts several natural wonders, amusement parks, beaches, and other incredible destinations. It’s hard to narrow down your options. Don’t worry — we found the best U.S. summer destinations that are perfect for RV travel. Here are 10 seasonal RV sites to visit this summer. 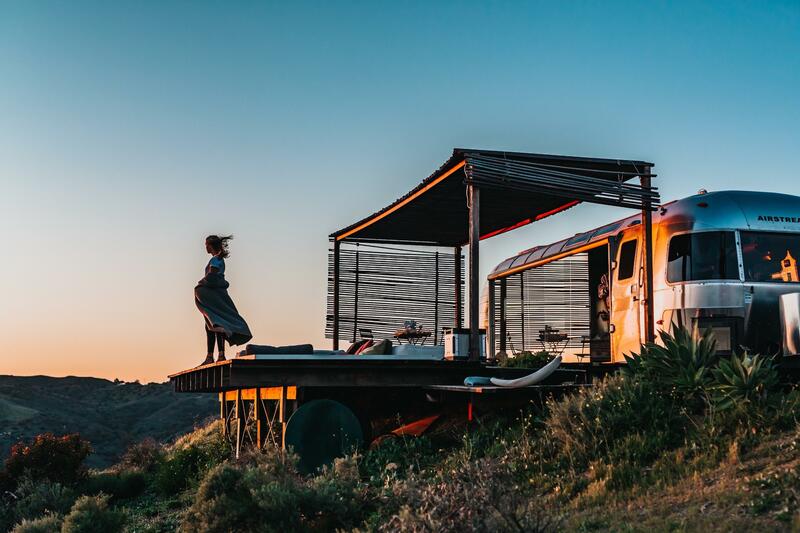 From Alaska to Maine, the U.S. has some of the most incredible RV destinations. Here are a few to add to your RV bucket list! If you prefer a mountain adventure over a beach getaway, Mount Rainier National Park in Washington State should be your choice. This park is located in the Rocky Mountain chain, providing some stunning views and some incredible climbing opportunities. Mount Rainier itself is famous because it’s an active volcano! If you and your family want to take in the breathtaking nature, Mount Rainier National Park hosts a plethora of trails that overlook the forests, mountains, and lakes. You can also reserve at a campsite at Mount Rainier National Park. So be sure to pack your RV camping accessories! If you prefer a New England getaway, choose Acadia National Park. This nature haven in Maine is perfect for those who want natural scenery with a quiet beach. There are many relaxing activities you and your family can do, including birdwatching and biking. It’s also recommended you rent a canoe and venture into the water. Acadia National Park is located on the Atlantic Ocean coastline, perfect for getting into an off-land adventure. Don’t think Acadia National Park isn’t all resting and relaxation. This park also offers intense trails and climbing. Be sure to bring an RV travel trailer filled with plenty of hiking and climbing gear. Over 7,000 years ago, Mount Mazama erupted and the eruption destroyed this volcano. Its remains still exist in Oregon, at Crater Lake National Park. It is the fifth oldest park in the United States. Today, Mount Mazama is now Crater Lake, whose stunning blue waters draw in guests from all over the country. Crater Lake National Park offers many hiking opportunities in the vast forests. If you and your family want to relax, a scenic drive in the RV will be enough to keep you all entertained. Want to stay the whole weekend? The Mazama Village Campground offers RV camping, so be sure to bring all of your RV camping accessories! If you’re not ready for the snow to stop falling, visit Rocky Mountain National Park. You can expect snowfall and glacier-topped mountains even into the early summer months. Right outside of Denver, Rocky Mountain National Park is a beautiful destination for those who want to hike and for both who want to take an RV trip. In addition to its scenic hikes and natural beauty, you can spot lots of wildlife! Expect to see some moose, elk, and deer. Rocky Mountain National Park offers several RV amenities. It’s still recommended you bring your own RV accessories, to ensure you’re comfortable. In Minnesota’s Superior National Forest, there are over one million acres of untouched forests and a beautiful lake. This area is called Boundary Waters Canoe Area. The preferred activity is obviously canoeing, but anyone can hike and bike throughout the vast forests. Boundary Waters Canoe Area is also a popular spot for fishing enthusiasts. It’s home to a variety of fish species such as lake trout, walleye, northern pike, smallmouth bass, and yellow perch. There are many RV campsites at the park that offer water, electricity, and even sewage. But it’s still recommended you bring your own RV accessories, such as an RV sewage hose. We’re not forgetting the beach destinations! The gulf coast of Florida is an ideal summer choice for the whole family. Florida offers a variety of beaches, history, nature, wildlife, sports, and cultural adventures. The beach is obviously Florida’s most famous destination. Whether you decide to go to Sarasota or Clearwater, Florida’s Gulf of Mexico hosts some of the most famous beaches in the world. Siesta Key in Sarasota is the number 1 beach in the US! Keep in mind, Florida gets extremely hot over the summer! Be sure to bring extra sunscreen. It’s a good idea to ensure your RV shower is working properly and to bring RV shower accessories such as extra showerheads. If a Disney Florida trip sounds more exciting than beach tourism, look no further than Central Florida! This area boasts some of the best theme parks in the world. Other than Disney, you can find Islands of Adventure, Sea World, and many water parks. Make sure you visit the city of Orlando. Orlando offers many fun nighttime activities for adults and family-fun destinations such as the Florida Mall. Keep in mind, Orlando is a huge city and it’s easy to get lost. Keep helpful RV navigational accessories such as a GPS. If you’re looking for the ultimate adventure, there’s no better RV destination than Alaska. Alaska offers some of the most epic landscapes in the U.S. You’ll see staggering mountains and icebergs. Alaska is also home to some of the biggest and most unique wildlife species. While eyeing the natural beauty is mesmerizing, be sure to visit one of Alaska’s towns such as Ketchikan and Alaska’s capital Anchorage. Some of the remote areas of Alaska may not have the best mobile coverage. Bring some RV communication accessories, such as a signal booster and even walkie-talkies. Need a New RV, Parts, or Services? Now that you know the best seasonal RV sites for the summer, you should start buying an RV or prepping yours for summer travel. Shop our RVs or contact us for parts and servicing.